My A Year in TV Guide project has come to an end. It started last September with the 1964 Fall Preview issue and wrapped up yesterday with the 1965 Fall Preview issue. I admit to having mixed feelings. Part of me is relieved to be done, because reviewing an issue of TV Guide every week turned out to be far more work than I had anticipated. There were days where I dreaded having to pick up another issue. I was never really able to get ahead the way I had hoped. It was only a few weeks ago that I actually finished a review more than a few days before it was published. But I’m also a little disappointed to see it end. 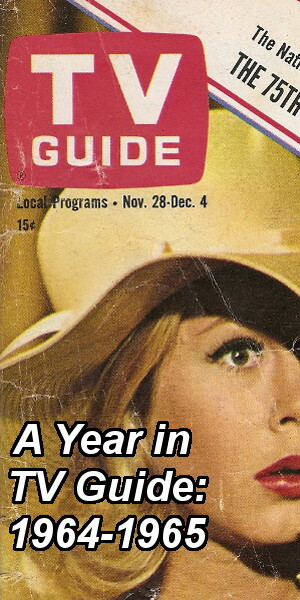 A Year in TV Guide was an interesting and informative project for me. Not having lived through the 1964-1965 season, I wasn’t intimately familiar with it. 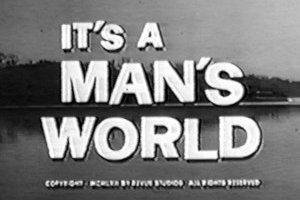 Of course I knew about shows like The Man from U.N.C.L.E, Peyton Place, Bewitched, and The Addams Family that premiered during the fall of 1964. And I had written articles about several of the more obscure shows to premiere that fall: The Baileys of Balboa, My Living Doll, 90 Bristol Court, and Slattery’s People. Still, at best I had a very broad understanding of how the season unfolded for the networks. Now, after reading these 52 issues, I feel like I’m much more knowledgeable about the 1964-1965 season. How could I not be, having spent the past year digging into it so deeply week after week? I knew there would probably be an audience for A Year in TV Guide. Unfortunately, I’m not convinced it was a large audience. There was a core group who regularly left comments week after week. Most entries received between 5 and 8 comments with some getting as many as 15 while others received only three or four. I had hoped that as the year went by I would see an increase as A Year in TV Guide gained a following, but that doesn’t seem to have happened. Nor did whatever popularity it did receive translate into an overall increase in visitors to Television Obscurities. That’s part of what made it so frustrating some weeks: here I was spending five hours dissecting TV Guide and not seeing a big response. Still, I’m happy I spent the time that I did. The project was never just about trying to bring in new readers. Do I Have a Favorite Issue? As I started thinking about writing a wrap-up for A Year in TV Guide, I considered putting together a list of my Top 10 issues from the past year. But then I realized I don’t have a favorite issue let alone ten. To be honest, they’re all a blur in my mind. None stand out as particularly interesting nor especially disappointing. I can’t say I have a favorite cover, either. If I had to pick one I’d probably say it was the June 26th, 1965 issue with Hullabaloo dancers on the cover if for no other reason than because Lada Edmound Jr. seems to be having so much fun. I’m also partial to the cover of the November 28th, 1964 issue, with its somewhat ridiculous photograph of Elizabeth Montgomery pulling the brim of her hat over her face. I also don’t have a favorite article. The articles I enjoyed the most were those that went really explored the behind-the-scenes drama of a television show or examined something the networks were doing. 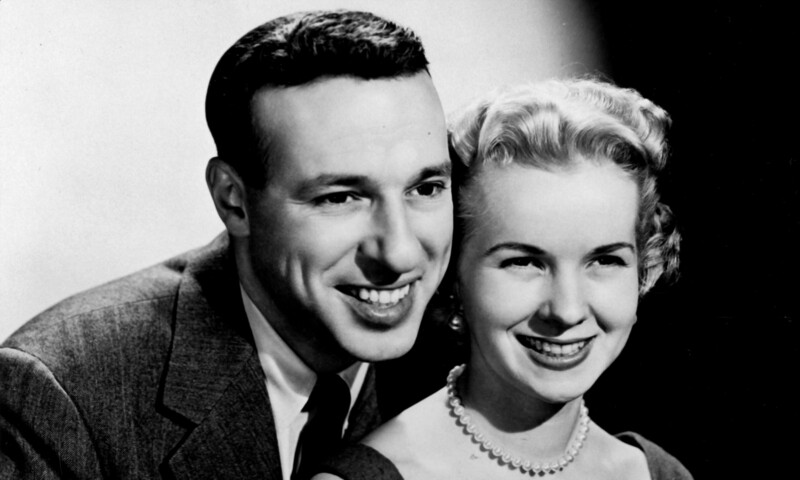 The two-part article by Leslie Raddatz about movies with adult themes airing on television–which ran in the April 10th, 1965 and April 17th, 1965 issues–was fascinating, for example. Many of the TV Guide profiles were of little interest to me while others were intriguing due to the fact that so many actors and actresses spoke without a filter. Tina Louise was very candid in her comments about Gilligan’s Island in the May 8th, 1965 issue. The June 12th, 1965 profile of Milburn Stone was an eye-opener as well. He made his feelings about his Gunsmoke co-stars very clear. I can’t imagine reading articles like these today when everyone is so guarded. Back in 1964-1965, though, it seems people felt more free to speak their minds. Occasionally, there were articles that by today’s standards seem a little sexist, with a heavy emphasis on a woman’s appearance that was often unkind. Although they drove me crazy at times, the listings in these 52 issues of TV Guide were arguably the most fascinating part of A Year in TV Guide. I admit, I would have preferred for all 52 issues to have come from the same edition. Not only would that have made things easier for me but it would have allowed for a year-long analysis of one area’s television programming. The first 27 issues I reviewed were from the Western New England edition, so I got very used to the stations and programming. Having to then switch to the Eastern New England edition for several months was a challenge but nothing compared to trying to get a handle on listings for the Philadelphia, Iowa, North Texas, Southern Alabama, New York State, or Eastern Illinois editions. I was fortunate that the first two issues I had to purchase were both from the Philadelphia edition. That made the listings in that second issue a little easier to get through. With the exception of those issues and the issue from the New York State edition, all of the other issues I had to buy were from areas in the Central Time Zone. I cannot tell you how much of an adjustment it was to keep track of that. On the other hand, being able to present issues from different editions meant sampling local programming from various parts of the country. A Year in TV Guide was made possible in large part due to a family member giving me a large collection of TV Guide issues from 1964 and 1965. I’ve written a little about this anonymous family member in the past. The reason I use the vague “family member” is because my family is very private and that’s as specific as I can be. This family member is considerably older than I am. He says Fall 1964 is when he really started watching television as a kid. His family didn’t have a color set. He can’t remember today exactly why he decided to start collecting TV Guide in August 1964. The collection begins with the August 15th, 1964 issue and ends with the August 7th, 1965 issue. In between there are five issues missing. I wanted A Year in TV Guide to start and end with Fall Preview issues, which ultimately meant purchasing nine issues at a cost of about $150 (the 1965 Fall Preview issue did not, as I had expected, cost the most). More than half of the issues in the collection are from the Eastern New England edition (Connecticut, Massachusetts, Rhode Island) with the rest coming from the Western New England edition (Massachusetts, Rhode Island, New Hampshire, Connecticut). I’m told that relatives in Connecticut and Massachusetts both either subscribed to or regularly purchased TV Guide and the copy that was in the best shape was saved. Some of the issues are in really rough shape. Two are missing covers and a few others have partially or completely detached covers. At least one has been stapled together. I doubt I’ll ever tackle another project of this magnitude. I know several people left comments hoping I’d continue through the 1965-1966 season. Even if I had access to TV Guide for that period, I just don’t have it in me to keep going for another year. But I’m not finished with these issues quite yet. I’m working on an exhibit featuring local TV Guide advertisements from Connecticut that will cover August 1964 through August 1965, including many that I didn’t use in my weekly reviews. I’m also working on several other projects. Next month, if all goes according to plan, look for a new article about ABC’s The Tammy Grimes Show. 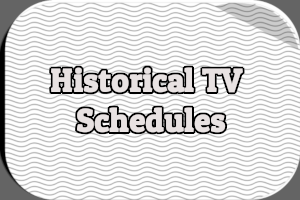 I’m also planning on reviving some blog features like Q & A, Unidentified Programs, Historical TV Schedules, and Historical TV Ratings (I still have to finish going through the 1955-1956 season, which I abandoned years ago). So whether you’re a long time reader or you found Television Obscurities because of A Year in TV Guide, stick around. Thank you for the effort you put into this project. I don’t recall how I came upon Television Obscurities, but I’m assuming I was once researching some particular show, did a search, and was directed to your site. I’ve now got you bookmarked, and keep coming back to see what you’ve just posted. Thank you very much for doing this project! I never left any comments, so I was more of a lurker, but I bet you had a number of lurkers. Your work was not unappreciated. I really appreciated the project myself. I left comments only sporadically, but read the entry every Saturday. Just sorry that it is coming to an end, but as someone who struggles to get out about three posts per month in my spare time, I understand limiting it to one year! I just came across this site in the past few weeks and couldn’t stop reading your TV Guide summaries. Fascinating stuff, your work is very much appreciated. I’m sorry I never commented! I’ve been a faithful reader for more than a year! The cover featuring Elizabeth Montgomery was my favorite. I would not call it “somewhat ridiculous.” I think it is very glamorous, and is more in the style of a Vogue or Harper’s Bazaar or other fashion magazine’s cover. The runners-up were the ladies of The Beverly Hillbillies and Cara Williams. This was a spectacular series, and I appreciate the effort you put into it. As a blogger myself, I understand your disappointment that it didn’t attract more readers, or lead to a general increase in readership for your site. I take comfort, as should you, in the fact that at least your scholarship is out there now for people to learn from and enjoy. Well done and thank you. I found this site sometime earlier this year and found myself coming back weekly for your recaps. Was definitely impressed at the work you put into them, along with the rest of your research. Well done. Thank you so much for your hard work on this project. I appreciate all your hard work on it. I’ll miss it, but like other posters here, I understand why it had to end. I’ve never even attempted a blog myself, as I’m not sure I would write anything worth reading, but I have enjoyed making several comments off and on over this past year. As I’ve mentioned in my posts in the past, since you chose this particular year to cover, you covered the issues of the week of my birth, as well as the week following (on sale on my birth date), and you even had a few issues from the areas where I was born and where I live today, so it’s been fun seeing local programming that I’ve experienced myself to a degree. I’ve been collecting TV Guides myself since I was a teenager, though I did save for awhile a year’s worth of a subscription that I talked my parents into getting when I was 8 years old; I think my parents made me get rid of those when we moved to another state a few years later. A boyfriend of my sister’s gave me 6 years of issues from the NY Metro edition covering 1971-77, and then a church acquaintance gave me my first “old” TV Guide from 11/13/1965. Then through finding old issues at places like Nashville’s Great Escape and other bookstores, http://www.oldtvguides.com , and finally EBay, I’ve gotten to where I’ve owned every issue from the 1960s (though a few are currently misplaced) and most from the 1970s. I had a subscription from 1980 to 2006, but the magazine has declined greatly in quality since the 1980s, IMO. Do you care to reveal for which issue you paid the most (w/o revealing the price)? Myself I’ve paid the most for the 3/5/1966 issue (Andy Warhol’s cover of Barbara Feldon) and was shocked when I won it, vowing never to bid as high as I did on it again. I don’t mind buying TV Guide’s selected reprints of issues, though I thought TV Guide overpriced them. They were much more reasonable in price once EBay sellers had a hold of a lot of them. Thank you for your hard work over the past year. My TV Guides were so brutally thumbed through, marked up, folded over, etc. that I never would have been able to save them as a collection. I do miss the dominant role that paper listings used to play in governing viewer selections, and I do remember there was a small but perceptible “TV Guide effect” in audience measurement, especially around cover stories. What I enjoyed in particular were the behind-the-scenes discussions and their coverage of pilots in development, often at the nascent stage before a pilot commitment was made. Some were produced under different titles, and others quietly slipped beneath the waves, never to be heard from again. TV Guide used to also give a nice bit of exposition on burn-off pilots broadcast throughout the year, especially during summertime, that would pull in the curious viewer. I really enjoyed looking back at the TV Guide Season from 1964-65. I am hoping that you will continue to look back at the 1965-66, 1966-67, 1967-68 and 1968-69 Seasons. Do you have any information on a TV Program that aired on Saturdays from 15 October 1966 to 8 April 1967 at 1130 AM and Sundays from 25 June to 27 August 1967 at 530 PM. The Program was called The Smithsonian. I would like to have a description of what each episode was about and is it on You Tube. I am hoping that you can help me with this. Also, I would like to see it on DVD so that I can watch in my free time. I’ve been a long-time reader of the blog and enjoyed each one of your TV Guide entries. 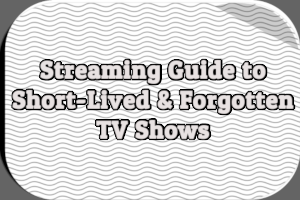 One of the aspects of the project that was most interesting to me was seeing how today’s “classic” tv shows fit into the ebb and flow of television when the programs were originally aired. 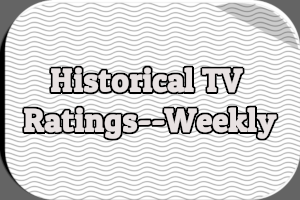 The reviews also made me appreciate the irony that we seemed to have a broader range of choices in television on both the local and national level with fewer channels – it brings home the point that the networks and local stations really did try to serve a diverse audience, rather than concentrating on niches and market segments they way they do today. Since original issues of TV Guide are in the realm of collectors and there’s no online database preserving the issues, this series was really the only chance to get a broad look at what was an essential component of television viewing for so many years. I have been reading your posts, for over a year. You did a great job. I found some of the things you wrote about more intresting then the tv show, themselefs. I left no comments, because I had nothing to add. If you made a mistake. With all the work this took, who am I to say anything. You did all the work. I hate to see this series end. It’s like the cancellation of a favorite TV show. I was a real TV junkie during the 1964-5 season and my grades reflected that. I came in late to this series but I have enjoyed reading your reviews for the last couple of months. Like many others, I have not commented simply because I didn’t fell I had anything to add to the discussion. Just wanted to add to the “didn’t comment that often because you did such a good job already” crowd. What you did was a stunning achievement and a worthy job of scholarship. And the mention of the “Tammy Grimes” article is making my mouth water. The only thing I’ve read on that show is a great article in TV Guide in 1967, and you’re definitely going to bring the goods on that. I totally enjoyed this series, since it showed a side of the television business which most people have never seen, or forgotten altogether. Like you, I was surprised by the honesty of a lot of the actors and behind-the-scenes people. Thanks for all your hard work on it. I only discovered this “A Year In TV Guide” project about a week ago, and have already read all the entries! Congratulations on a fine job. Maybe you would have been better to start a “year” with the Sept preview issue and then skip to the “end” which would be following year May and tell how things shook out. One thing the listings don’t tell you is that shows could be dropped on local stations, with local programming substituted, and all the times something big that happened overriding regularly scheduled broadcasts, like the Apollo landing. A personal story helps here. 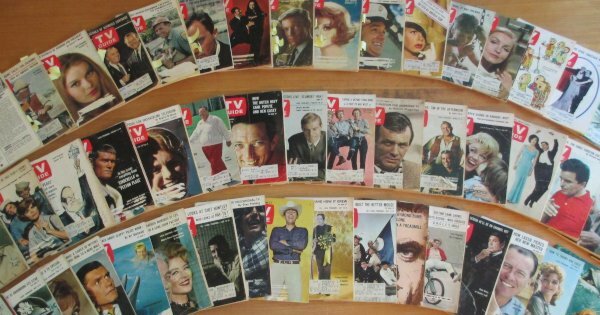 My older sister was the one in my family who kept a TV Guide collection (unfortunately only a tiny portion of it remains 1961 to 1968.) During certain times in my life we did a TV Guide excavation project where I would become interested in an old show like The Fugitive and we would look up all the episodes that we could find and it was amazing to read the descriptions of eps I hadn’t seen. Of course, now we have almost everything on DVD, and the internet provides episode guides, but in the TV Guide the written word was the star– from the reviews, to the actor interviews, to the episode write-ups, to the close-ups, to those commentary articles on the business of TV.